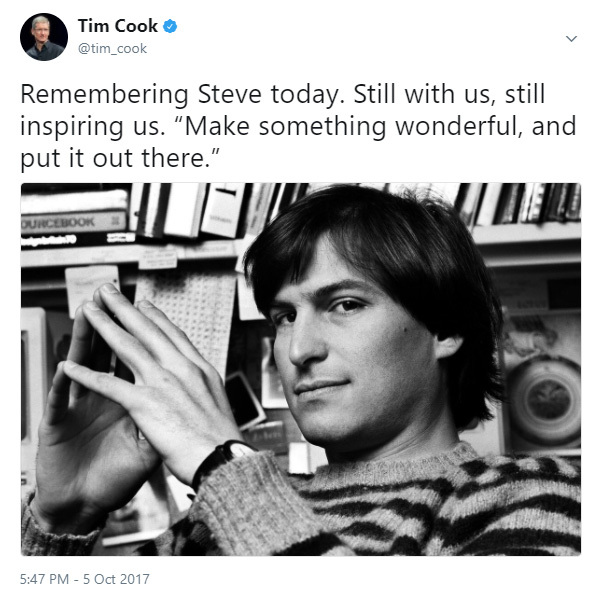 Apple CEO Tim Cook has today tweeted out a message in which he honors the late Steve Jobs on what is the sixth anniversary of the legendary co-founder’s death. He died on October 5th 2011 at the age of 56 following a long battle with pancreatic cancer. Cook and Jobs were clearly close as was evident when the former opened the Steve Jobs Theater during the iPhone media event last month. Cook was visibly emotional when speaking about his friend, and while Jobs was someone that many loved to hate, he was very much admired and loved within Apple and many fans all over the world. 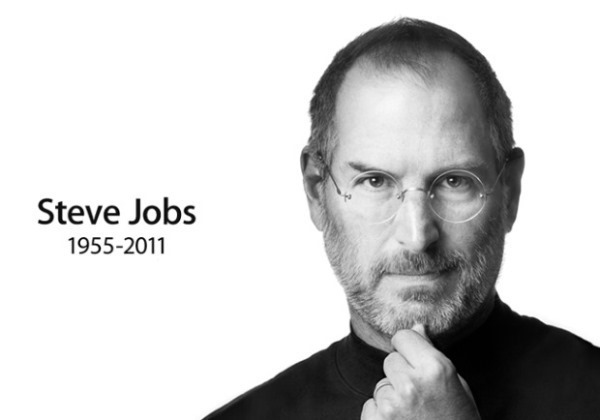 Today’s anniversary of his death marks a six-year period during which the world has changed quite a bit, but Jobs and the impact he made on the technology industry should never be underestimated. In the tweet, Cook quoted part of a larger quote that was used during the opening of the aforementioned Steve Jobs Theater at Apple’s new campus. There’s lots of ways to be as a person, and some people express their deep appreciation in different ways. But one of the ways that I believe people express their appreciation to the rest of humanity is to make something wonderful and put it out there. And you never meet the people, you never shake their hands, you never hear their story or tell yours. But somehow in the act of making something with a great deal of care and love, something’s transmitted there. And it’s a way of expressing to the rest of our species, our deep appreciation. So we need to be true to who we are. And remember what’s really important to us. That’s what’s going to keep Apple, Apple: is if we keep us, us. The opening of the theater took place as Apple announced the iPhone 8, iPhone 8 Plus, iPhone X, Apple TV 4K and of course the Apple Watch Series 3. It was the way Cook spoke of Jobs that will linger with many of us though, and six years on, he remains sorely missed within the industry. He was brilliant and a jerk all in one… he is missed. one way of grabbing attention with such a tasteless titling an article.